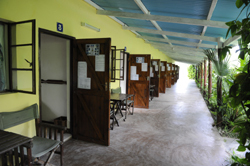 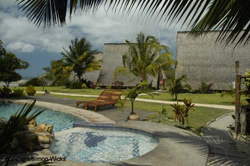 Vilanculos hotels, accommodation and places to stay. 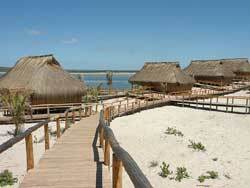 Guide to where to visit and where to stay in Vilanculos Mozambique. 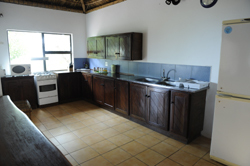 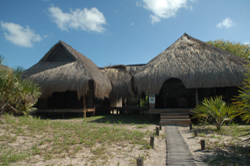 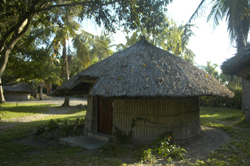 Information on Vilanculos Mozambique, location of hotels, lodges, camp sites, guest houses, bed and breakfasts and places to stay in the Vilanculos area of Mozambique. 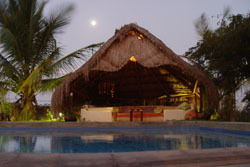 Distances from major attractions to Vilanculos and information about shops, fuel and facilities. 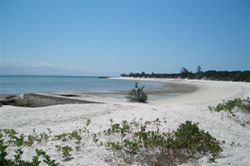 Vilanculos is well known as the gateway to the Bazaruto Archipelago and was one of Mozambiques first well known tourist destinations. 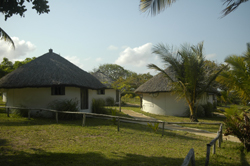 With regular flights from South Africa and now improved road access Vilanculos is fast becoming a popular destination with tourists and travellers alike. 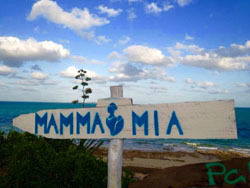 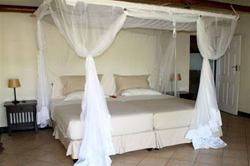 The Mamma Mia Resort is a hotel on the beachfront of Vilanculos, Mozambique, that offers a differential kind of accomodation. 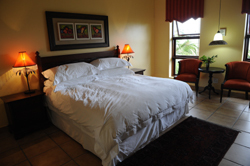 With the emphasis on style and comfort, our accommodation is both luxurious and personalised. 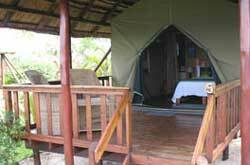 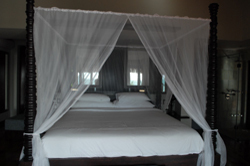 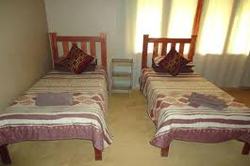 Here you can mix and match your lodgings depending upon the number in your party and your requirements. 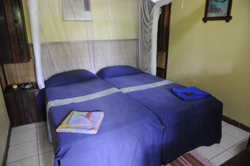 Your choice of either a spacious, fully serviced en-suite room, an optimally equipped self-catering pied à terre, or combinations of both, will provide you with an perfect base from which to explore the beauty of your surroundings. 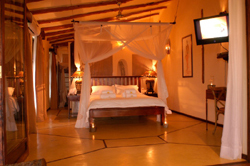 The lodge has a beautiful swimming pool, a comfortable resting area, a tasty restaurant and a lively bar. 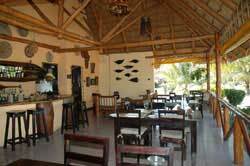 We serve delicious homemade and freshly prepared Spanish and Mozambique food. 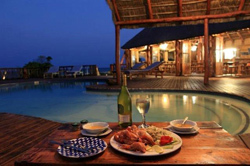 It will truly make your mouth water. 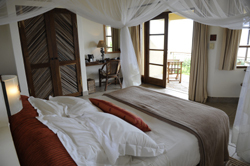 Vilanculos enjoys an excellent reputations as it is located close to one of the most sublime islands of Mozambique, the breathtaking Bazaruto, which will inspire you to look at the range of activities that Casa Oceano has to offer. 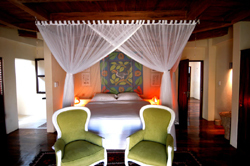 The design is a fusion of classic and contemporary, offering business travellers and tourists a differentiated experience where Portuguese and African tradition merge in unrivalled splendour. 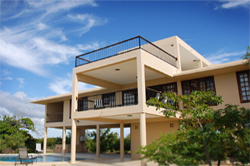 Privately owned and run, Dona Ana is committed to offering the most gracious hospitality to her guests and remaining true to her passion and love for life. 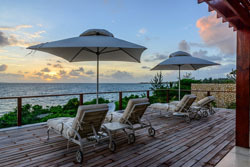 There are 22 rooms in the main hotel, including a Honeymoon suite and two Executive suites, as well as 32 beach units which open directly onto the sparkling white beach. 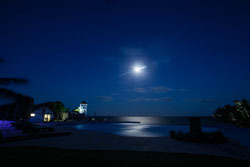 At this beautiful place, no matter how you choose to fill your days and nights one thing is certain, you'll leave feeling rested, restored and renewed and, above all, determined to return! 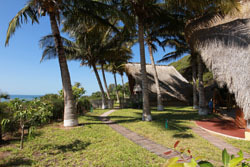 Our exclusive 10 villa Delux suites are surrounded by tropical gardens, so come and enjoy the cooling sea breezes and beautiful panoramic views and take advantage of the very best of Mozambique hospitality. 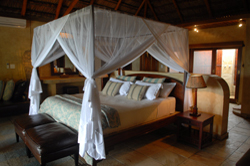 Dreaming of a memorable holiday with white sandy beaches, clear turquoise water and beautiful lodgings on the coast of Mozambique? 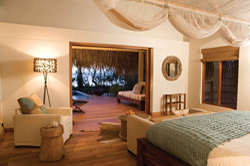 At Nyati Beach Lodge by the city of Vilanculos, you will find an untouched beach paradise complete with all the services and amenities of a luxurious four star resort, where diving, big game fishing, snorkelling and many other water sports can be enjoyed to the fullest. 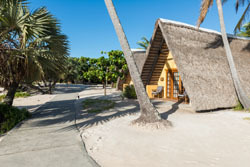 Dona Soraya Lodge is situated on the South Beach of Vilanculos, overlooking the spectacular Indian Ocean and out to the Bazaruto chain of islands on the horizon. 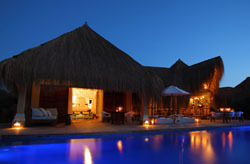 This wonderful peaceful Lodge is hosted by Dona Soraya who offers international and seafood cuisine. 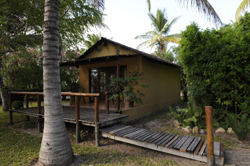 Island Base Camp is situated in Vilanculos and offers comfortable, clean mid-range accommodation in a refreshing oasis of palm trees and lush gardens. 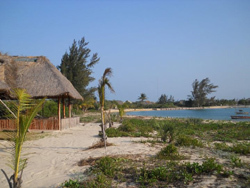 Vilanculos is a stepping-stone to the 3 main islands of the Bazaruto Archipelago (Bazaruto, Benguerra and Magaruque) and truly the only way to discover Mozambique and it's beautiful and untouched coastline. 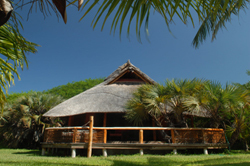 Ponta Mapalo is secluded in the heart of the Bazaruto Archipelago. 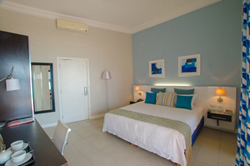 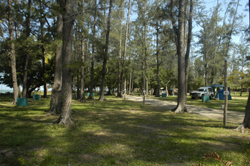 We offer select beach accommodation in secure surrounds. 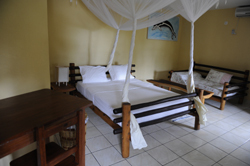 Our Mission is to provide secure, good quality, budget self catering beach accommodation, right on the beach. 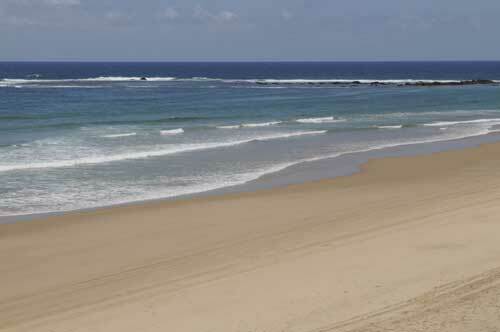 Relax on the un-spoilt beaches of Inhassoro and encounter the warm Indian ocean with and often glasslike stillness of the water thanks to it's island protectorate. 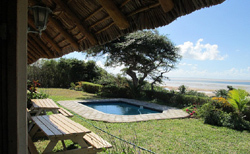 Bazaruto and the mainland offers something special to the birding enthusiast. 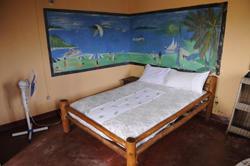 Casa Luna at Inhassoro offers fishing holidays with services including boat hire. 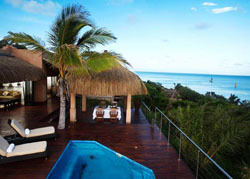 Island excursions are available from Casa Luna Inhassoro. 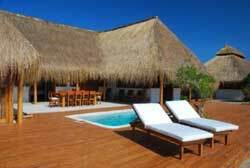 The following activities are available in Vilanculos and can be arranged by all the lodges and holiday resorts in the area. 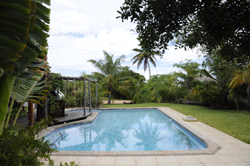 Flights to Vilanculos are available from Johannesburg OR Tambo International Airport Daily.